Poem Published Online at Interrobang?! Magazine | MARK JAY BREWIN, JR. 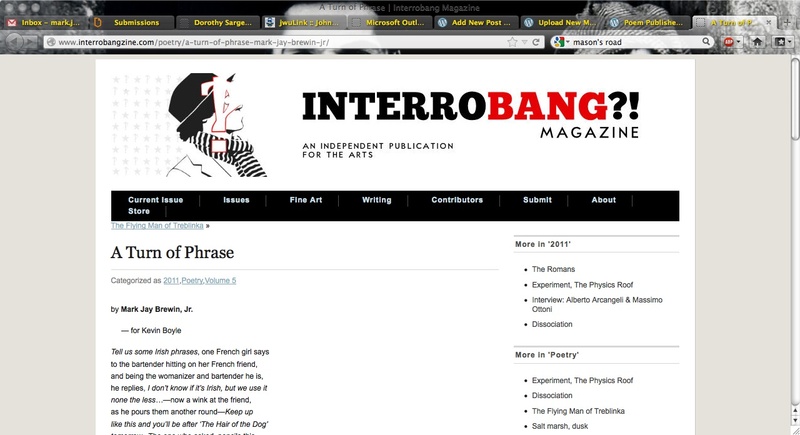 Published online a while back, my poem “A Turn of Phrase” is now available on Interrobang?! Magazine Online. Please click the link and check it out.